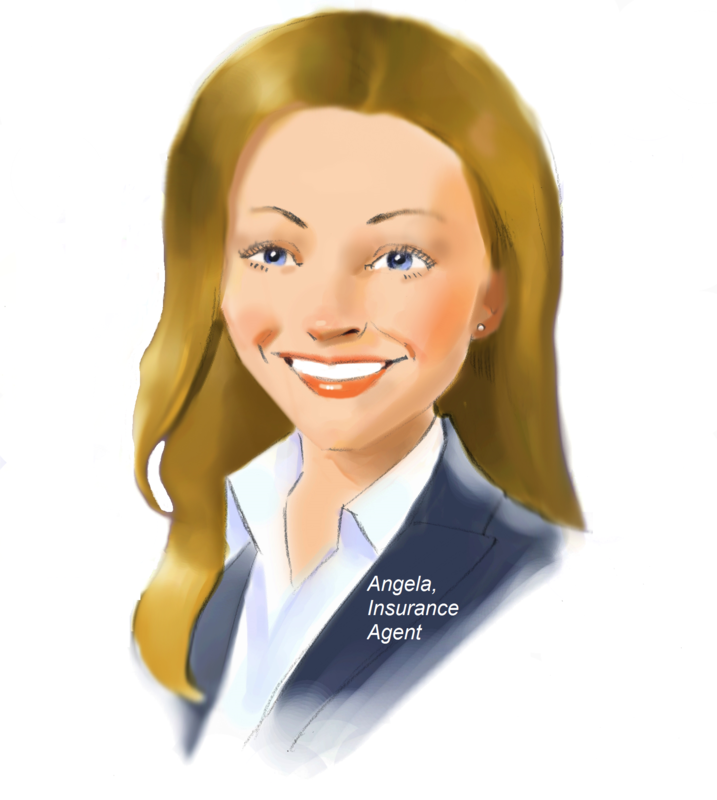 Angela is an internal agent for a large national insurer. Her job is to meet consumer demand for additional coverage by selling appointed homeowners and pet products to complement the company’s manufactured auto. Despite the fact that the insurance industry has a reputation for being staid, she can say that her job is never dull. Just think about the customer who was transferred to her yesterday. He had the standard home and auto with her company, but was looking for a policy to cover his exotic pet, a parrot who mimicked him in the background of their call. It makes her chuckle to think about it now, but it was no laughing matter when she had to turn the man away without coverage. The pet product she had to offer didn’t fit the specific parameters for his squawking avian friend. Even worse was the frustration he expressed after spending nearly thirty minutes on the line while she entered his information and worked up the quote for a product that ultimately didn’t meet his needs. It seems to happen a lot these days. Consumers expectations are changing. They want a lightning fast quote-to-issue lifecycle with plenty of product options to choose from. She totally gets it, having just made an online purchase from an e-commerce retailer last week. Options were easy to find and compare, pricing was quick and painless, and her purchase was finalized with the swipe of her finger. It’s an experience she wishes she could provide her customers. Insurers Aren’t Entirely to Blame, Are They? While Angela commiserates with consumers, she also understands the position of insurers (she’s compassionate like that). The technology they use is nearly twenty years old. In fact, she was only a child when the first great programmer invented the system she uses to quote and issues policies. Since then, it’s been switched up and changed in multiple ways, but you can only stretch a rubber band so far before it breaks, and while her company’s aging IT isn’t about to suffer a catastrophic failure any time soon, it’s fragile state isn’t compatible with new digital means of doing business. Just take a look at all of their internal product silos. When customers want to know why it takes her so long to work-up a quote on multiple products, she asks them to pretend that she’s a doctor and each product is a patient. Every time she needs to visit (quote) a product, she needs to enter a different exam room and gather a new detailed history. It’s time consuming, but essential to ensuring the best outcomes. These days, outcomes are very subjective though. More and more, consumer expectations are influenced by an e-commerce world where product options are plentiful and purchasing is quick and easy. Consumers don’t understand the vast differences between consumer goods and insurance products: the stringent regulations that guard the industry or the fact that creating a new offering can take an insurer up to a year. [i] And then there are the challenges of distribution. It’s nearly impossible for her to meet consumers’ need for speed when she has to enter information into multiple systems to generate quotes on more than one product. Often, customers are already frustrated when they reach her, having just purchased auto coverage through one agent, before being transferred to her to complete the transactions on their homeowners and pet. No, Angela’s job could never be boring, but it is challenging to do it well when she can’t meet her customer’s product and channel preferences. According to PwC, cloud-based deployments are the way to go for insurers like Angela’s who are laden by outdated technology and under the gun to deliver innovative new offerings to capture market and wallet share. [ii] Top-tier, SaaS-based digital distribution platforms work with legacy systems, uniting product silos to improve the agent and consumer experience, while providing access to a wealth of new products. Speed typing records: With the right digital distribution platform, Angela won’t need to break any speed typing records trying to enter customer information before their patience wears out. All she will need is a few customer data points and smart app functionality to take care of the rest, pulling up all necessary information from the most trusted third-party sources. Gone are the days of asking consumers questions they can’t answer, such as the type of shingles on their house. Medical analogies: While we give her points for creativity in drawing the analogy between product silos and doctor’s offices, with a leading digital distribution platform, she won’t need to explain slow and inefficient performance because it will be a thing of the past. If she needs to explain anything at all, it will be how she managed to provide so many product and pricing options from a single application. Top-grade digital distribution platforms come complete with a tightly integrated market network of products, allowing internal agents to seamlessly expand their offerings. Talking parrots: Through automation, digital distribution platforms speed the quote-to-issue lifecycle, allowing Angela, and agents like her, to rapidly quote, bind and issue products at the click of a mouse. Even if Captain Jack Sparrow himself should call, she won’t hear any pirate’s parrots. Digital automation is just that fast. Just in case agents like Angela are wondering, you don’t have to take our word for it. Instead, ask the insurers who are already selling products they don’t underwrite through a top-tier digital distribution platform. They’re the ones generating 4,000 quotes a day, converting 35% of those to sales and increasing bookings 450%. How could new product development initiatives and legacy IT ever compete with that? [i] Robert Regis Hyle. “P&C Insurers Plan Major Spending Increase for New Product Development.” Property Casualty 360. ALM Media, July 24, 2013. Web. [ii] “Top Issues an Annual Report.” Volume 9. PwC, 2017. Web.